So far, our project has been through three formal stages of public consultation with local communities in East Suffolk, providing an opportunity for the public to have their say. The feedback we've received, together with our technical assessments, will help shape our final proposals. The potential effects of the project – both positive and negative – and proposed mitigation measures where necessary. The principle of the need for new nuclear power stations and the choice of Sizewell as a ‘potentially suitable’ site have already been determined by Parliament, following public consultation and debate. These issues are outside the scope of our ongoing consultation. We plan to build and operate a new nuclear power station in Suffolk on land immediately to the north of Sizewell B power station, adjacent to an area that has had nuclear power stations operating since 1966. Should we receive the necessary consents, we expect construction of the power station to take between 9 and 12 years. The proposed design of the Sizewell C buildings takes into account the sensitive nature of the surrounding environment while providing enough space to build and operate the power station safely and efficiently. landscaping of the areas to be restored following use during construction. Construction of the power station would have an impact on the surrounding environment. Since Stage 2 consultation we have continued to undertake environmental surveys and identify likely impacts to help inform our proposals. Where impacts are likely to be significant, we have embedded mitigation into our design, or are proposing separate measures to reduce them. We are proposing to build a new, permanent, two-lane access road with a segregated route for cyclists and pedestrians to link Sizewell C to the B1122. This would be the main route to bring workers and materials onto the site during construction and the main access for Sizewell C once the power station is operational. The new access road would need to cross the Sizewell Marshes SSSI to reach the power station platform. With a more detailed understanding of the construction process and likely environmental impacts, our proposal for the crossing is a causeway over a culvert. This access road is a regulatory requirement, as all new nuclear power stations need to have two separate entrances. The existing Sizewell power station road would provide the secondary access and would be rarely used after approximately the first year of construction. As we develop our proposals further we will continue to seek ways to limit disruption to local residents and road users during this initial period. While we no longer propose moving freight by sea due to the impact on marine ecology of building a jetty, the need for a permanent beach landing facility (BLF) during the operational phase of Sizewell C remains. The BLF would facilitate an occasional - but essential - need to transport across the shore exceptionally large loads that are too big for transportation by road. We are also proposing to use the BLF during construction. For some time, the owner of Sizewell B (a subsidiary of EDF Energy) has planned to upgrade and relocate some facilities in closer proximity to the main Sizewell B operation, allowing Sizewell C to use the land where they are currently positioned. These works are critical for the construction of Sizewell C and NGL intends to submit a separate planning application to Suffolk Coastal District Council (SCDC) following preapplication consultation in 2019. Our proposals for construction and temporary development aim to avoid significant adverse environmental effects. Where this is not possible, we will embed mitigation measures in our design in a way which is environmentally responsible and sensitive to the needs of the local community. Existing woodland and areas identified for early tree/ hedgerow planting would help screen activities, including at the site entrance and along the northern perimeter. Differences in the height of land to the north and south of the site would also help screen construction activity from wider views. Temporary noise screening, including bunds and fencing would be used in a number of locations to reduce impacts of construction noise on adjacent areas. A site entrance hub east of the new B1122 junction would serve as an access point for goods vehicles transporting construction materials as well as for workers and visitors to the site, ensuring safe and secure access to the site. This would operate outside the main security fence to allow more flexibility in operation and would include a site office, induction centre, canteen and access to the accommodation campus. A freight area with a checkpoint, security checking facilities and parking is also proposed. A secondary access from Lover’s Lane would be required to connect the main development site to land east of Eastlands Industrial Estate (LEEIE), the area directly north of Sizewell Halt. This would also serve as an emergency access point in the event of an obstruction at the main development site entrance. The workers’ accommodation campus would help mitigate potential impacts on local communities by reducing pressure on local accommodation. It offers significant benefits in reducing journeys on local roads and wider worker management. The deep excavation needed to build Sizewell C would generate large amounts of spoil and a need for material to replace or backfill it. Following feedback from Stage 2 consultation and further technical work, we have confirmed our preference for keeping construction material on-site. We are proposing to source construction material for use in building the power station from ‘borrow pits’ which would be backfilled with peat and clay excavated from the foundation area of the power station. We are also proposing a number of stockpile areas for storage of construction materials. A project of the scale and complexity of Sizewell C would bring significant economic and employment opportunities, supporting the security of the UK’s economic future as well as producing a long-term boost for the local economy through increased employment and skills provision. Our expectation remains that the power station would put at least £100 million a year into the regional economy during peak construction and £40 million per year during its 60 years of operation. This is based on the Hinkley Point C (HPC) application for development consent, however since construction has started its forecast has been revised up to £200m per year of local economic benefits during the construction phase. We are working to understand the extent to which the supply chain in Suffolk and the East of England is likely to be able to secure a similar package of contracts to those secured locally at HPC. While the potential benefits are substantial, we recognize that Sizewell C could also result in adverse social or economic effects, and our overarching approach is to avoid, mitigate, or manage these. Our work on the social and economic impacts of Sizewell C will be supported by separate Health Impact Assessment and Community Impact Reports, which will form part of our application for development consent. Construction of Sizewell C would create approximately 25,000 roles on the main development site. There would also be a need for a significant workforce in non-construction roles, both directly and in the supply chain. Once operational, there would be a long-term legacy of 900 permanent jobs and a regular short-term workforce of around an additional 1,000 people during refueling and maintenance outages. Wherever possible, we are aiming to ensure local businesses can compete for the significant number of contracts needed to build, support and operate Sizewell C. For more information or to register an interest, along with more than 1,300 companies already on the database, please visit: sizewellcsupplychain.co.uk. We are already working with Suffolk Chamber of Commerce to build and operate a supply chain database enabling local businesses to register and get ‘Fit for Nuclear’ - the industry benchmark for nuclear-ready manufacturers. We anticipate that the Chamber’s role will expand for construction, to start matching suppliers with Sizewell C requirements, communicate contract opportunities, and connect suppliers with support to meet quality and safety standards. A Supply Chain Engagement Strategy, setting out the steps we have taken to understand and support the local supply chain and identifying potential local benefits, will form part of our application for development consent. We are committed to ensuring local people are able to access the jobs and benefits Sizewell C would bring. Promotion of sustainable careers in key sectors that would support the construction of Sizewell C is a fundamental part of our work. We are aiming to build on regional plans to create a skills system to meet future economic needs, raise individual achievement and aspiration, and help people into work. We recognise that tourism is an important source of jobs and income in many areas of the local economy, in particular within the Suffolk Coast and Heaths Area of Outstanding National Beauty (AONB). We are working with key organisations, including local authorities, Suffolk Coast Destination Management Organisation, Visit Suffolk and the New Anglia Local Enterprise Partnership to understand the local tourist economy and Sizewell C’s potential effects on it. We have also started identifying opportunities and mitigation measures - including a potential Tourism Fund - that could support the area’s tourist economy. We recognise local concerns about the impact of construction, including the size, location and activities of the workforce. To ensure high standards of behaviour from our workforce, both on-site and in the community, all Sizewell C workers would be required to sign and comply with a strict Code of Conduct, including mandatory drug and alcohol testing. Failure to comply with the Code of Conduct may result in dismissal. Since Stage 2 consultation we have been working with the local authorities and emergency services to understand potential effects on healthcare, social care for adults and young people, the use of local services in settlements close to the site, and the potential effects on emergency response in the community. We have also established an emergency services working group - including fire and rescue, police and ambulance services - to determine the level of additional need - and potential mitigation required - that may arise as a result of Sizewell C.
The overall aim of our accommodation strategy is to strike a balance between providing temporary worker accommodation and workers using existing local accommodation, in order to minimise impacts on the community while promoting the economic benefits of workers living and spending in the area. We anticipate having 5,600 workers on the main development site plus 500 workers at the associated development sites during peak construction. As this is a forecast, we have considered what the effects might be if the workforce numbers turned out to be higher. This is to ensure our assessments are robust in relation to transport, environmental effects, worker accommodation and impact on services. A larger workforce would not affect the scale of the physical components of Sizewell C, although it may require additional mitigation. A single, on-site accommodation campus for 2,400 workers is a key part of our proposals. Following feedback from Stage 2 consultation and further assessments, our proposal is to locate all development to the east side of Eastbridge Road and to build the associated sports facilities remotely at a site in Leiston. We have revised the layout of the campus to address concerns of massing and height of the buildings. We are now proposing only three-storey and four-storey (rather than up to five-storey) accommodation buildings. The three-storey buildings would be nearest to Eastbridge Road and the four-storey buildings further east. bring benefits for local businesses supplying goods and services to the campus. 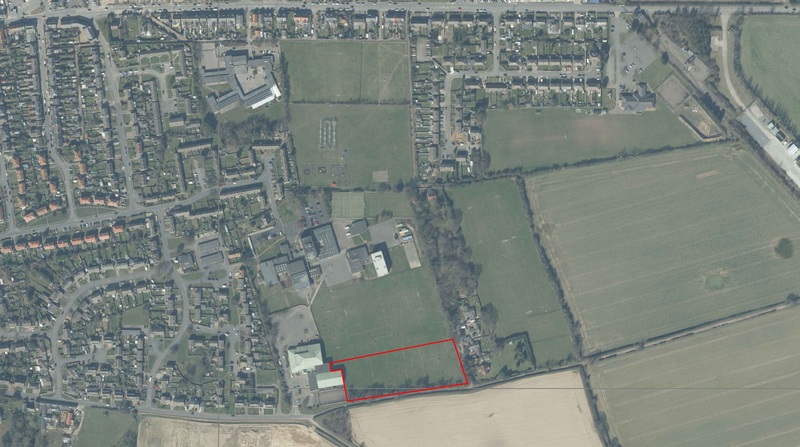 We are working with Suffolk Coastal District Council (SCDC) to determine whether sports facilities could be provided on land between Leiston Leisure Centre and Alde Valley Academy, with shared access for Alde Valley Academy, the community, and construction workers. at least two multi-use games areas. Our proposed caravan site on land to the east of Eastlands Industrial Estate (LEEIE) would be available in the early years before the campus is established and retained throughout construction as an option for workers. The current proposal would allow around 400 pitches. Building Sizewell C would involve the daily movement of large numbers of construction workers and significant amounts of materials and equipment. In developing and designing our transport proposals, we have sought opportunities to limit the impact of construction of Sizewell C on the local highway network wherever possible. Our proposals include mitigation measures to limit potential effects on local communities and the environment. provide road improvements where necessary to mitigate the impact of construction traffic. We are proposing two alternative strategies - rail-led or road-led - for the movement of materials. We plan to use excavated materials on-site as fill or for landscaping, and a borrow pit to source and deposit material. The rail-led strategy would provide direct access into the main site for five trains a day using a new rail line (known as the green route), and a road bypass of Theberton. The road-led strategy would provide a new Sizewell link road from the A12 to the B1122, and a freight management facility to the east of Ipswich, along with two trains a day (to Sizewell Halt or a new rail siding) throughout construction. For details and to learn about options within our proposals for the movement of materials, please read the Stage 3 Consultation Summary Document. Additional B1122 mitigation: we are proposing a bypass to reduce the impact of peak construction traffic on the B1122 through Theberton. Under the rail-led strategy, the Theberton bypass would run from a point between Middleton Moor and Theberton, and end on the B1122 east of Theberton. Under the road-led strategy, the bypass would be known as the Sizewell link road. It would incorporate the route of the Theberton bypass and extend further to also bypass Middleton Moor, joining the A12 south of Yoxford. Beach landing facility: a permanent beach landing facility (BLF) is needed for handling abnormally large deliveries during the operational phase of the power station. Although not suitable for movements of bulk aggregates, the BLF would also be used throughout the construction phase to remove the need for heavy and oversized loads to be taken on the road network. It would be designed for use by barges, loaded with deliveries elsewhere, towed to the Suffolk Coast, and moored in position before the barge is beached. The abnormally large deliveries would be transported to site along an access road incorporated into the northern mound. Sizewell Halt or new rail siding: at Stage 2 we proposed use of the existing terminal known as Sizewell Halt and this option remains, but construction of a new rail siding on the same Saxmundham - Leiston branch line is now proposed as an alternative. Rail proposals: both the rail and road led strategies would require use of existing rail lines to deliver materials in the early years of construction. For the road-led strategy, such use would continue throughout the construction period. Upgrades would be required to nine level crossings on the Saxmundham - Leiston branch line (between the Saxmundham junction and Sizewell Halt) under both the rail-led and road-led strategies. The rail-led strategy would include significant improvements to the East Suffolk line, including upgrades of up to 33 and closure or diversion of 12 level crossings. Some improvements to this line may also be required for the road-led strategy, subject to further assessment with Network Rail. Other proposals: other proposals consistent with both rail-led and road-led strategies include the A12 two-village bypass of Farnham and Stratford St Andrew, park and ride sites at Darsham and Wickham Market, and other highway improvements. an electronic web-based Delivery Management System (DMS) to allocate HGV delivery slots and ensure compliance with agreed controls and limits. It would also allow rapid electronic communication with suppliers should deliveries need to be delayed or rescheduled due to issues on the highway network. temporary holding or controlled release of HGVs from the Sizewell C site. bus pick-up services from Saxmundham station for workers using rail services on the East Suffolk line. Our proposed locations for the park and ride facilities are Darsham in the north and Wickham Market in the south. When the construction phase is at its peak, the park and ride sites would operate seven days a week, with the movement of buses responding to the shift patterns of workers coming to and from the main development site. When no longer needed, the buildings and associated infrastructure would be removed, and the area returned to agricultural use. Our traffic modelling now shows a need for more car parking spaces at each site than were previously proposed, however the size of the sites remains the same. on-site soil storage to support site restoration when the facility is no longer needed. a 20m minimum buffer and sustainable drainage infrastructure to separate the parking area from Little Nursery woodland and nearby properties. external areas including roadways, footways, landscaping, surface water management areas and drainage infrastructure. There are also two options proposed to mitigate potential delays on the B1078 between Border Cot Lane and the River Deben bridge that may occur as a result of the southern park and ride. While our proposals have been designed to limit potential impacts on the local road network, we recognise that the A12 and B1122 are particularly likely to be affected by construction traffic. To limit adverse effects and address potential capacity and safety issues, we are proposing a number of mitigation measures separate to those proposed under the rail-led or road-led strategies. A12 - two village bypass: we recognise that Sizewell C traffic would exacerbate an existing problem on the A12 at the Farnham bend and are proposing mitigation to significantly reduce the traffic passing through the narrow bend. Following feedback at Stage 2 consultation, discussions with Suffolk County Council, and further technical work, our proposal is a bypass of Farnham and Stratford St Andrew (a two-village bypass), with key design changes aimed at reducing environmental impacts. A12/B1122 junction: the B1122 would experience a significant increase in traffic as a result of Sizewell C. Following feedback at Stage 2 consultation and further technical work, our proposal to improve the junction of the B1122 with the A12 at Yoxford is a roundabout. It would replace the existing priority junction and is considered to be safer and more efficient than signalising the existing A12/B1122 junction. Junction improvements: we are proposing road improvements - such as changes to signage and road markings, vegetation maintenance, speed limit changes, and other developments - at a number of key junctions to improve safety. A12/A144 south of Bramfield: adding a central reservation island and waiting area to increase junction capacity. At Stage 1 we consulted on our initial proposals and options for the construction of Sizewell C and associated developments, including an accommodation campus, transport by rail and sea, park and ride, and road improvements. Working with groups representing people with disabilities, older people, minority ethnic groups and young people. Feedback from this first stage of consultation, along with technical workshops and information from further studies, modelling and assessments will help shape the plans published at Stage 2 Consultation. Stage 2 Consultation on the proposals for a new nuclear power station at Sizewell began on 23 November 2016 and ran until 3 February 2017. Our latest proposals have been informed by feedback from Stage 1 Consultation, ongoing engagement, further technical work and environmental studies. Throughout November and December we hosted public exhibitions in a number of locations in East Suffolk, along with a number of presentations to schools, community groups and parish councils. Stage 2 Consultation ended on Friday 3 February 2017. Thank you to those who submitted a formal response to Stage 2 Consultation on the Sizewell C proposals – we received over 1,000. All formal responses received are recorded and considered carefully by EDF Energy. The feedback will help us as we develop our plans for the next stage of public consultation on Sizewell C.
Stage 3 Consultation ran from 4 January to 29 March 2019. We are currently reviewing the responses received during this period and will be undertaking ongoing technical and environmental assessments. During the consultation we met with almost 7,000 people through 100 events and over 32,000 visits were made to our consultation website. We look forward to feeding back to the community about how the consultation will shape our plans going forward. Write to us at FREEPOST SZC CONSULTATION (no stamp or further address required). Visit us at the Sizewell C Information Office, 48-50 High Street, Leiston IP16 4EW.